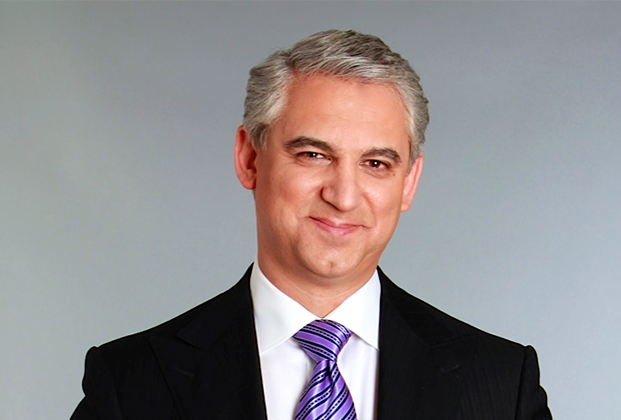 “I haven’t purposely kept it a secret, but there is a major part of the story of my life that very few people know about,” world renowned urologist and surgeon and Fox television and AM 970 radio health and medical commentator David B. Samadi told me when I interviewed him in his Midtown Manhattan office recently. “Since practically every interviewer has questioned me only on my work as a doctor and surgeon, and my commentaries on health and medicine on television and radio cover only medical and health-related issues, this story of my past personal life has not really surfaced,” explained Doctor Samadi, 48. That explanation made sense. Still, as I sat waiting to learn what this personal story might be, I couldn’t help thinking that, however interesting the personal tale he was getting ready to talk about might be, it was unlikely to be as interesting as his universally acclaimed work in medicine. The chairman of Urology and the chief of Robotic Surgery at Lenox Hill Hospital and named to the prestigious Castle Connoly America’s Top Doctors and New York Magazine’s Best Doctor’s List, Samadi, who specializes in the diagnosis and treatment of urologic disease and prostate, kidney, and bladder cancers, has won that acclaim as a result of his remarkable history of success as a surgeon. Researching Samadi in preparation for this interview, I became struck by, among many others, this one particular example, of his success: Of the more than 6,000 prostate cancer surgeries he has performed in the past decade using the Samadi Modified Advanced Robotic Treatment (SMART) that he invented and pioneered, almost 90 percent of his patients became cancer-free, a heretofore unheard of success rate for this deadly form of cancer. That success rate—coupled by studies showing that Samadi’s surgical prostate cancer patients experienced marked reductions in blood loss, complaints of pain and days of stay in the hospital compared to patients studied who have undergone conventional treatments—has further added to his prominence within the international medical community. So it was an easy journalistic decision, I thought. I would perfunctorily discuss Samadi’s personal story and then quickly move the interview back to medicine and his medical career, the originally planned topics. I changed that plan, however, soon after hearing his first few words. “If you read my biography off the Internet, you will learn that I was born and raised as a Jew living in the Persian Jewish community of Iran. You also will learn that in 1982, three years after the Iranian revolution began, I, just 15 years old then, and my younger brother, Dan, then only 12, moved first to Belgium and then six months later to London England, until we finally immigrated to America from there in 1984. Somehow I failed to connect the historical and the personal dots until that moment. But suddenly I could. Persian Jews have a collective history in their country going back almost three millennia, living many of those centuries in peace and many others under murderous persecution. With the ascent to leadership in 1925 of the secular Pahlavi Dynasty, ruled first Reza Khan Pahlavi and then in 1941 by his son Mohammad, the Jewish community had once again found peace. But with the advent of the Iranian revolution in 1979, along with the rise to power of the Ayatollah Khomeini, Jews found themselves the target of hatred once again. Preaching venomous sermons against Jews and Israel, Khomeini waged a campaign of murder and intimidation against the suddenly powerless Jewish community. Dozens of Jews were quickly arrested, tried, and executed as spies. Within three years after the revolution, approximately 60,000 of the then-100,000 Jews in the country, fearing for their lives, fled to Israel, the United States, or Western Europe. Two in the last group were David and Dan Samadi—but not the rest of their family. While that loneliness continued even after Dan and David moved to Roslyn, New York, in the United States in 1982, they became happier in their new surroundings. “The living arrangements in America were similar to those we had in London. The difference was that Dan and I fell in love with America. It didn’t diminish our loneliness, but the love we felt for our country, just living in this beautiful and free land, helped the next six years go by just a bit faster,” Samadi explained. Those six years of life in America also became quite productive for both brothers. Dan and David continued to excel first in high school and then college. By 1990, David had completed his first year at Stony Brook School of Medicine with honors and Dan was running an “A” average as a pre-med student at New York University. That loneliness was to soon end. Giving in to intense pressure from the George Bush White House, the Ayatollah in 1990 allowed most, but sadly not all, of the remaining Jews held hostage since the revolution to finally leave Iran. Manoucher, Forough, and Heidi Samadi were among those permitted to leave. About his reasons for telling this story now, Samadi offered two. The first, he explained, concerned the current heated debate over the Obama administration’s nuclear weapons negotiations with Iran. “I have learned a great deal that might be relevant to understanding Iran and the current crisis. My family was forced to flee for their lives from a country in which their ancestors had lived for generations,” he stated. “So I understand better than most,” he asserted, “the dangers of the Ayatollah’s brand of deadly fanaticism. And I understand that any policy on Iran and its nuclear ambitions must be based on the premise that Iran under its current government presents an existential threat not only to Israel, Egypt, Jordan, and Saudi Arabia, but to the entire world. So it must not be allowed to develop nuclear weapons. For a small number of sufferers, surgery can make severe, chronic migraines disappear forever.